Microsoft Office Access (or simply known as MS Access) is a relational database management system created by Microsoft. It combines both the relational Microsoft Jet Database Engine with a GUI and software development tools. It is also a part of the Microsoft Office Suite of various applications (including MS Word, MS Excel, and MS PowerPoint). 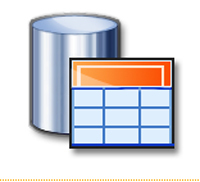 MS Access stores data in a format specific to Access based on the Access Jet Database Engine. It also has the capability to import or link to data stored in other Access databases, Excel, SharePoint, lists, text, XML, Outlook, HTML, dBase, Paradox, Lotus 1-2-3, or any data container that is ODBC compliant (Microsoft SQL Server, for instance) directly. Structured Query Language (also known as SQL) is a database language. It was designed specifically to manage data in RDMSs and its conception was based upon relational algebra. The range of its capabilities includes data query and update, schema creation and modification, and data access control. It was one of the first languages using the RDMS model and is most certainly the most widely used language for these relational databases. The SQL language is subdivided into multiple language elements: clauses, which are occasionally optional constituent components of statements and queries; expressions, which produce either scalar values or tables that are comprised of columns and rows of data; predicates, which are used to specify conditions that are able to evaluated to SQL three valued logic (or 3VL) Boolean truth values; queries, which retrieve data based on particular specifications; and statements, which affect the schemas and data or can also control transactions, program flow, connections, sessions, or diagnostics. Access is used primarily as a means to create simple database solutions. The tables created through Access support a plethora of standard field types, indices, and referential integrity. It also comes complete with a query interface, forms on which one can display and enter data, and reports for printing. Through the use of point and click options, Access allows the user to automate simple tasks through macros. It is quite popular with non-programmers who are capable of creating visually pleasing and reasonably advanced solutions. SQL is now a standard and its structure is made up of many different components. These include, but are not limited to, SQL Framework, SQL/Foundation, SQL/Bindings, SQL/CLI (Call Level Interface), and SQL/XML (or XML related Specifications). 1. Access is a relational database management system that stores data in a format based on the Access Jet Database Engine; SQL is a database language designed specifically to manage data in RDMSs. 2. Access is used mainly to create simple database solutions; SQL is a standard made up of multiple components including, but not limited to, SQL Framework, SQL/CLI, and SQL/XML. Amitash. "Difference Between MS Access and SQL." DifferenceBetween.net. June 22, 2017 < http://www.differencebetween.net/technology/difference-between-ms-access-and-sql/ >. Very informative article. Thanks for taking the time to write it. The only thing that I would disagree with you on is the part about Access being primarily used for simple database solutions by non-programmers. I have used Access to build very robust applications that extracted data from large corporate-wide systems to produce specific datasets and perform a variety of different analysis and automation functions. Other than that, good article. Yes, I agree that ms access is made for small applications, we have ms access databases with large amount of data (> 1 GB) but performance is terrible and we have been using repair database cmd always as possible, and when it doesn’t work we have to create another and migrate all data, cause client doesn’t want to pay licenses to get a real SGBD.